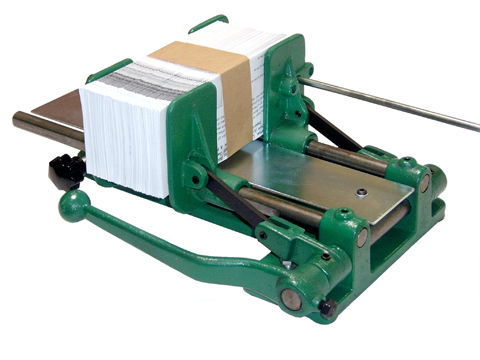 Use our Manual Banding Press for small to medium volume. Presses your material together tightly and bands will keep them together. 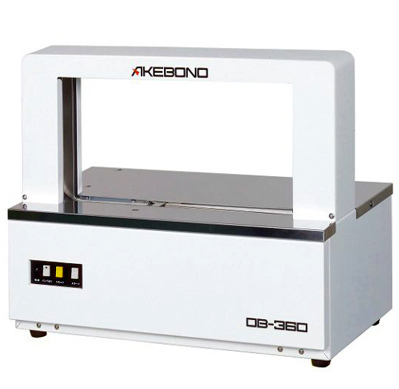 Use the automatic banding machine for higher volume. Banding Tape rolls are used to band the material together. Soft or elastic bundles can be banded without sacrificing speed. The OB-360 can band packages as small as 1-1/8" x 3/8" high and upt ot 16-1/2" x 8-1/4" high. You can use either paper or film tape.